18 May 2016 – In the beginning of May 3R – Reduzir Reusar e Reciclar Limitada (3R), a joint-venture between Carbon Africa and the NGO AMOR in Mozambique, signed a contract with the engineering firm WSP Parsons Brinckerhoff to construct a Waste Transfer and Recycling Center (WTRC) in Beira, a port city 1,200 km north of the capital Maputo. Currently, WSP PB is conducing the geotechnical survey on the area. 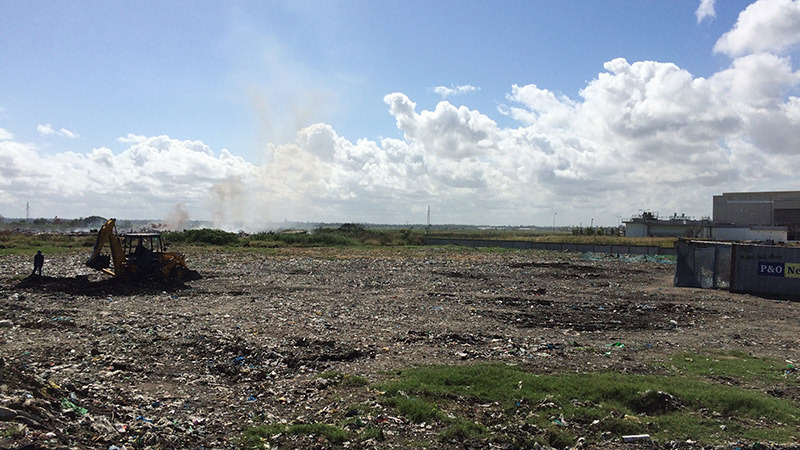 The construction work for phase I, to be done on a 10,000 m2 square plot of land allocated beside the current open landfill, is expected to begin in July 2016, and will last 2 months. Upon completion, the facility will have a capacity of up to 30 tonnes per day and initially targets the plastic and glass waste streams. The function of the WTRC is to receive, sort and process segregated and mixed municipal solid waste and temporarily store for onward transport processed and recycled waste products as part of 3R’s wider waste management operations in Mozambique. 3R, the Nordic Climate Facility (NCF) and Africa Enterprise Challenge Fund (AECF-REACT) are the co-funders of the facility. The WTRC is part of a bigger initiative that 3R is implementing in cooperation with the Mozambican Ministry of Land, Environment and Rural Development (MITADER) and other stakeholders in Mozambique in order to increase the percentage of waste that is being recycled in the country (currently standing at only 1%) and, as such, directly reduce greenhouse gas emissions by avoiding waste disposal at uncontrolled landfills and indirectly by reducing the use of virgin materials. The initiative will also work towards creating an enabling environment for waste recycling through the formulation of Nationally Appropriate Mitigation Actions (NAMAs). And the Beira WTRC will serve as proof of the business model and financial viability of this type of facility in the country. If it is successful, the idea is to create four more similar facilities in different Mozambican municipalities in the next three years.